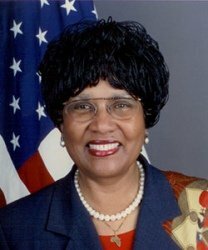 First African American female United States Ambassador to Benin (2006-2009). First African American female Consul General at the American Consulate. First African American United States Deputy Permanent Observer to the Council of Europe in Strasbourg, France.